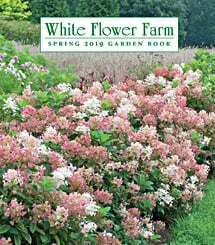 For more information on Viburnum care, click Growing Guide. With the possible exception of Rhododendron, no genus offers as many attractive and useful shrubs as this one. Viburnum provides just about anything you could want in a shrub, from profuse bloom to handsome foliage to colorful fruits to fall color. Growth habit varies among species: V. carlesii (Korean Spice Viburnum) and V. opulus (European Cranberry Bush) varieties are round-topped and fairly dense; V. dentatum (Arrowwood Viburnum) is large with spreading branches, V. plicatum tomentosum (Doublefile Viburnum) has tiers of horizontal branches, and V. trilobum (American Cranberry Bush) varieties are more upright. CULTURE: Full sun (grow in partial shade in the South and warm inland areas of the West); rich, well-drained, evenly moist, and slightly acidic soil. Viburnums do not tolerate drought well. Space 5–8′ apart, depending on variety. GROWTH: Plants usually need 3–5 years to start blooming and fruiting. Medium growth rate of 12–24″ a year, depending on growing conditions. SUGGESTED USE: Screening, informal hedge, native plantings, or mixed perennial and shrub borders. PRUNING: Prune as necessary after plants bloom in spring. Be aware that pruning will reduce the fruit production of V. trilobum varieties.